Scotland’s historic win over England has led to praise from Indian batting great Sachin Tendulkar, who has called for the sport’s second-tier teams to get more opportunities to prove themselves against top sides. 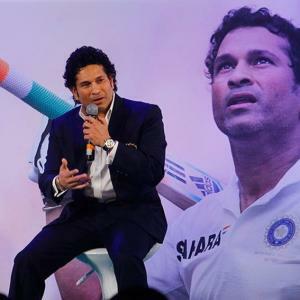 Tendulkar wants more opportunities for minnows after Scotland winScotland’s historic win over England has led to praise from Indian batting great Sachin Tendulkar, who has called for the sport’s second-tier teams to get more opportunities to prove themselves against top sides. Scotland, who failed to qualify for the 2019 World Cup after the International Cricket Council’s (ICC) decision to limit the tournament to 10 teams, recorded their biggest victory when they beat England, the top-ranked One-day international team, by six runs on Sunday. IMAGE: Scotland’s Mark Watt celebrates with his teammates after taking the wicket of England’s Sam Billings. “Teams with massive potential like Afghanistan, Ireland, Scotland along with many others have to be given more opportunities to play against the more experienced teams. Scotland can continue their fine form when they face Pakistan in a two-match twenty20 international series, starting on Tuesday.